If Microsoft really does want its new Xbox to be an 'always on' console, what happens when you can't always get on? The answer to that would be 'not a lot' if this weekend is anything to go by. Microsoft claimed it was dedicating every available resource to fixing the problem and eventually did so late on Saturday. The outage came at the worst possible time for some gamers, with Call of Duty: Black Ops II players able to gain double XP (experience points) as a means of promoting a new map pack launching on Monday. Where does this leave the new Xbox? 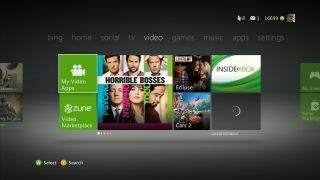 The service outage has now been resolved, but it does raise more questions about Microsoft's reported plans for its forthcoming Xbox 720 to require a constant internet connection, which have already been met with a huge backlash. With Xbox Live outages not exactly a once-in-a-blue-moon occurrence, where would this leave gamers every time the company has problems with the online portion of its service? Would they be able to play at all? Surely Microsoft would have to allow local, unconnected play in those circumstances? At the moment it's all conjecture, but we may learn more if Microsoft does, as reported this week, reveal the new console in little over a month's time on May 21.